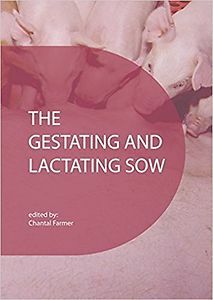 The last book on the lactating sow was published over 15 years ago. This new book brings us up date in current knowledge on the gestating and lactating sow. It covers new and important topics such as conditioning of gilts for optimal reproductive performance, feeding high fibre diets to gestating sows and providing various fat sources in gestation and lactation. It also descibes the several key success factors to group-housing systems in gestation, which is a must due to the current move towards group-housing. The new concept of transition feeding for sows is discussed, as well as the factors involved in mammary development of gilts and sows, both of which are instrumental for maximum colostrum and/or milk yields.The impact of the human-animal interactions on sow welfare and performance is discussed with focus on new handling practices that could be developed to overbalance the negative interactions inherent to pig management systems. Updates on must-have topics, such as amino acid and energy requirements of sows, colostrum and milk yield and composition, and sow health are also provided. The subjects covered in this book will assist animal scientists, nutritionists, veterinarians and swine producers in learning the most recent information on relevant and current topics affecting sow production, and in knowing which areas are in need of further research efforts.